Q: What is the best thing about Ship Sticks that people might not know about? 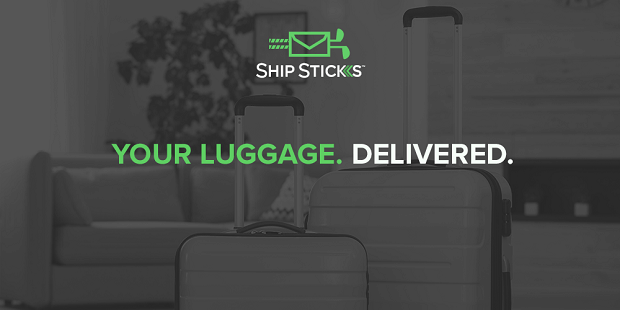 A: Golfers love the convenience of shipping their golf clubs with Ship Sticks. They know their clubs are taken care of from the moment it’s picked up to when it’s delivered. What golfers may not know is we ship worldwide. Along with their golf clubs, they can ship their luggage so they can travel completely bag free. With service to over 220 countries, we can accommodate travelers of all kind. Q: There is an interesting feature you’re offering to your clients – luggage shipping. How does it work? A: Our luggage service is designed similarly to our golf club service. The hassle of carrying luggage to and from the airport or finding space for it in their rental car is eliminated. Customers can easily ship their luggage with a few easy clicks. They’re able to schedule their shipment online and track their package from pickup through delivery. All luggage shipments come with complimentary insurance, an on-time guarantee, and a dedicated customer service team to help every step of the way. Q: But isn’t it easier to send your luggage through the airport? A: Taking luggage through the airport is more than inconvenient, it’s a burden. The airline industry is notorious for overcharging luggage at the counter. On top of rising costs, there is always the potential of bags being lost or damage. It can be frustrating for the airline to lose a passenger’s bag. It’s even more discouraging for passengers to waste their time at baggage claim on their trip. We listened to what travelers had to say about their experiences and decided to create a luggage shipping brand to accommodate their travel needs. Q: Who and what markets are you targeting? A: Vacations are meant to be enjoyed, and it’s difficult to do so when dealing with your luggage at the airport. Not to mention if it never arrives at your final destination. Our luggage shipping service is for every traveler that wants a hassle-free travel experience. The travel community knows how much of a pain the airport experience is. As avid travelers ourselves, we know these struggles all too well. That’s why we target first-time flyers, to the wanderlusts of the world. Q: Can you give us insights into your pricing plans for luggage shipping? A: We partner with logistic carriers to offer competitive pricing on our luggage shipping service. This allows us to present different shipping options to our customers. Whether you are traveling from Florida to California, or Atlanta to Savannah, travelers can choose from a variety of shipping options depending on their needs. We offer different shipping tiers from Next Day Express to our Standard Ground service which starts at $39.99. Our International services work similarly as shipping across the pond is a breeze for our customers. And when they want to continue on their trip backpacking, they can easily send their luggage home. Q: What are the advantages of using a luggage shipping service? A: Customers love how easy it is to ship their luggage. It makes for an overall better experience when traveling. There isn’t the hassle of taking bags from the car to the long lines at the airport counter and waiting at baggage claim with the uncertainty of whether or not your luggage made the flight. All our customers have to do is sit back and enjoy their trip. Our service picks up their luggage directly from their doorstep and delivers it straight to their final destination. You’re in good hands from the moment your order is booked with us. The biggest take away for travelers is spending more time on the things that matter, like enjoying their trip.